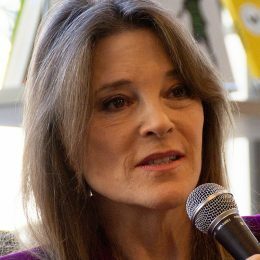 January 28, 2019, Marianne Williamson (66) announced she was running for president in 2020. She is a writer, activist and co-founder of The Peace Alliance, a nonprofit grassroots education and advocacy organization supporting peace-building projects. There are 20 candidates for the 2020 presidential election, ranging from incumbent President Donald Trump to spiritual advisor Marianne Williamson.